Visualizing Characters, OR Another Way to Waste Time Online! Writers love a good way to procrastinate online, don't we? Well, I have fallen into yet another e-hole. I got the idea from yesterday's Guess That Character Blogfest, in which most participants posted a picture, usually a photo of a celebrity, representing how one of their characters looks. I get inspiration for characters from famous people, too, but also from people I know. Most of the time, I picture my characters looking somewhat like a real person but with certain variations, or looking like a combination of real people. They are never carbon copies of any of my friends or faces on TV. Also, (have I mentioned?) 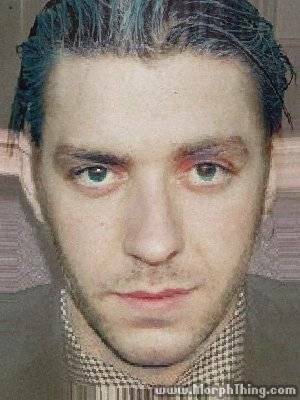 I'm pregnant, so I have been wondering how my genes are mixing with Mr. G's and what our baby will look like. 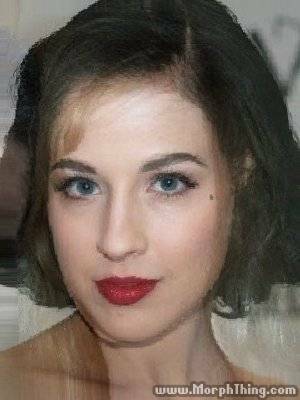 Which led me to one of those sites where you can upload your pictures and see a morphed baby-face of you and your mate. 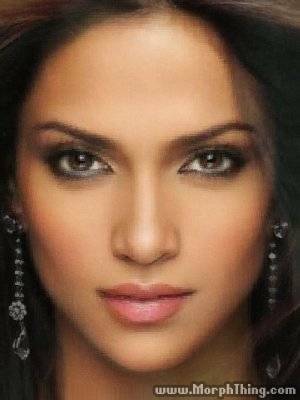 The site I clicked on, morphthing.com, also lets you morph adult celebrity faces with each other or with photos you upload. Hells YES!!! I just about peed myself over this image. Mr. G and Mr. L make a suave love child, no? It's kind of messy on the left side with the hair and jaw not quite matching up, but you get the idea. Now, here are some celebrity mashups representing my characters Princess Rosemarie and Queen Bellynda. OK, enough of this! Play with those face morphing sites at your own risk. Cool site! Thanks for sharing and congratulations on being pregnant!!! Thank you, Sharon and Monika! I have a feeling my character faces would be more useful if I uploaded more pictures of "real" people, not airbrushed and heavily made up celebrities... I mean, they didn't have brow waxes or Botox in the 10th century... but that would take up even more time. I guess it doesn't matter, since the pregnancy is eating all my brain power anyway and I'm not writing much.